Angeline Saris will be appearing in an ad for GHS Strings, which will debut in the July, 2012, issue of Bass Player Magazine. The ad will be located on the inside of the front cover. 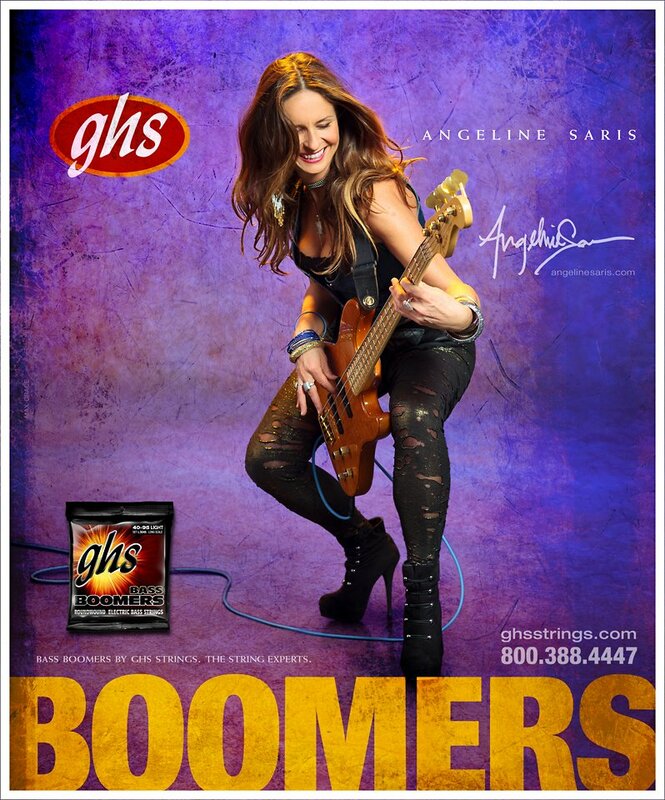 Whether on tour or in the studio, Angeline uses GHS Boomers, medium gauge strings. Click on the photo at left to view larger version. Photo and design by Max Crace.